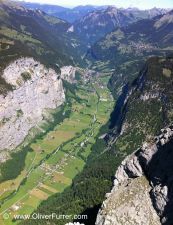 news 29.05.11: One of the highest BASE jump in the Lauterbrunnen valley is the "Salamander" next to the Büffelhorn. Together in a larger group of jumpers it took over 5 hours hiking/climbing to get up to the exit altitude. 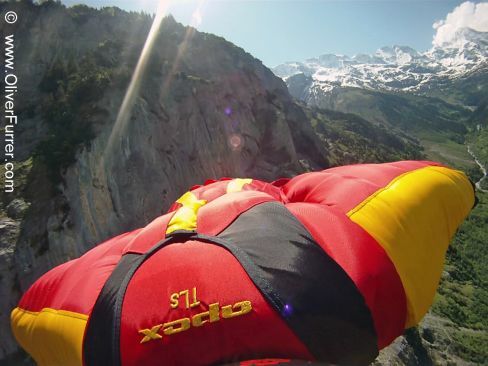 Afterwards everybody got paid off with a great jump, where Oliver was proximity flying in his wingsuit to Stechelberg.